While some wee ones don’t seem to do much but eat, sleep and poop, other babies are fussy, active and spend more time awake than in dreamland. No matter where your babe falls, there’s plenty to learn about baby’s sleep, from safety guidelines to schedules. The total hours babies sleep can vary. Expect little ones to sleep for 10 to 18 hours in a 24-hour period (average is 13 to 15 hours). Premature babies may sleep more than those born full-term. When they sleep and wake are linked to hunger and feelings of fullness, and breastfed babies generally sleep for one to three hours at a time. 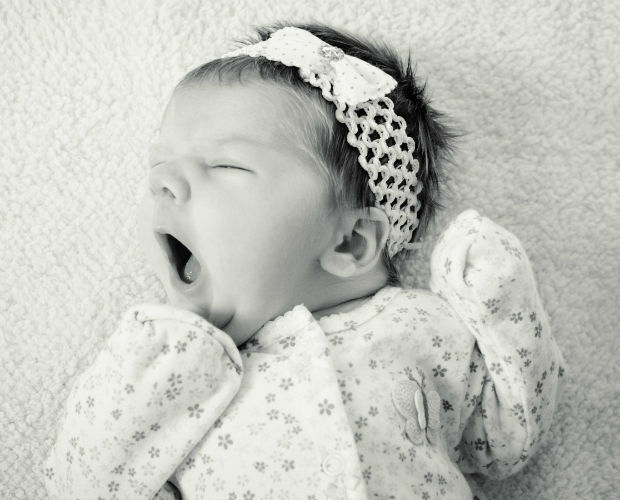 Newborns start sleeping for longer periods at a time once they reach six to 12 weeks old. 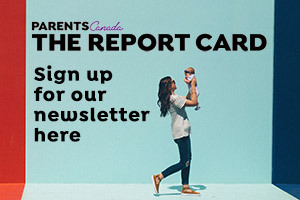 Babies should be put to sleep on their backs until they’re 12 months—this position is associated with a reduced risk of sudden infant death syndrome (SIDS). They should sleep on firm, flat surfaces (whether they’re in a crib or bassinet), their room should be kept cooler than warmer (overheating is risk factor for SIDS) and cribs should be away from curtains, blind cords, lamps and electrical plugs (so little hands don’t grab them). Smokers should never be near babies or wherever babies sleep—exposure to smoke is one of the greatest risk factors for SIDS. Within the first few weeks, parents can start a bedtime routine (and even a routine for naps). Routines should be calming and pre- dictable—start at the same time every night with a bath, massage, pajamas, feeding and singing a song. (Or whatever works best for your baby.) A nap routine may consist of a feed, diaper change and song. Once they’re drowsy, put them in their cribs and see if they can fall asleep on their own. (Fingers crossed!) At this young age, some babies grasp the skill pretty quickly (and start sleeping for longer periods of time), while others don’t. If yours has trouble going to sleep alone, keep trying. This skill develops as they grow and yes, requires practice. Some newborns tend to sleep more during the day than at the night. (Not ideal!) Parents can help reverse their sleeping patterns by keeping lights dim and noise to a minimum during nighttime feeds and diaper changes. In the daytime, it’s best to keep them in rooms with lots of light and normal levels of noise, and engage them in play so they’re less likely to doze off. Dr. Nicky Cohen is a registered psychologist in private practice in Toronto. Published in the Winter 2018 issue.